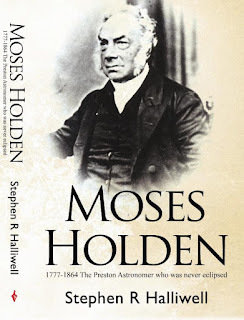 Steve Halliwell, Todmorden U3A’s guest speaker on Thursday 15th September, is a man who clearly knew a lot about a Preston man, Moses Holden, who also knew a lot. Consequently, by the end of Steve’s lecture we had been as well enlightened as those who attended Moses Holden’s packed lectures on the science of ‘ouranology’ in the first half of the nineteenth century would have been. Steve’s first slide showed we were in for a less dull ride than the phrase ‘methodist evangelist’ might have suggested to many of us: ‘Moses Holden: self-taught genius, the Mozart of the astronomical world, a founder of UCLAN, constructor of telescopes, travelling lecturer (pre-railway) – From hand-loom weaver to Freeman of Preston’. And so it proved. Steve’s interest in local history had led him to research Preston’s Learned Societies that grew out of the town’s early Literary and Philosophical Society, and which, when it established its Mechanics’ Institute in 1828, named it instead its Institution for the Diffusion of Knowledge at the suggestion of one Moses Holden. Indeed, The University of Central Lancashire regards itself as the descendant of that Institute. Moses Holden was undoubtedly a remarkable man. Born in Bolton in 1777, his father, a hand-loom weaver, moved the family to Preston in 1782. Father Holden liked to read stories to his children, and Moses, after hearing about Jeremiah Horrocks and his recording of the Transit of Venus in 1639, determined that he would be an astronomer when he grew up. Moses followed his father into the cloth industry as a weaver and married a woman from Whitehaven with whom he had three children with the exciting names of William Archimedes, John Horatio and Annie Leonora. The fact that the boys were born in Pontefract and Banbury tells a story itself. Moses became a travelling preacher and lecturer. In 1810 he undertook an eighteen month circuit tour of the north-west for the Methodist Church, based in Poulton-le-Fylde. He ran Sunday Schools and Bible Groups and was known for a good sermon. He probably travelled on foot. However, by 1815 his private studies of mathematics and astronomy enabled him to offer triennial lectures at the Theatre Royal in Preston. These would be lectures given over a period of three evenings, each lecture packing the building. In time, Moses toured these lectures, and Steve’s researches of where the lectures were held led him to conclude that Moses was using the canals (much as Mikron Theatre do today). This presumed use of canals explains the circumstances of the Holden sons’ births. The lectures were quite something, featuring a magic lantern and an orrery (mechanical model of the solar system), both of Moses’ own making. Doubtless, he would also have made some profit from sales of his ‘Celestial Handbook and Almanac’, copies of which he sent to both William IV and William Rogerson, the Astronomer Royal with whom he became very friendly. Nevertheless, after his death in 1864, Mrs Holden advertised the almanac as available by post at the knock-down price of 2/-. Perhaps by then they were cluttering up her house! As a lecturer, Moses could turn a pretty penny. In 1844, in Liverpool he was in such demand that he could packs halls for three sets of three lectures. And in 1852, his account books show that his set of farewell lectures in Preston netted him about £120 with only £21 expenses (which included a consideration for ‘oils’ with which to freshen the air of the theatre). Click here to buy the book, £8.99 + P and P.
For this writer, Moses was most impressively a self-taught man excited by knowledge and its capacity to enrich life. He was also skilled in making and selling telescopes. His achievements have recently been celebrated and commemorated by UCLAN who have named their ‘70 cm diameter state-of-the-art robotic telescope’ the Moses Holden Telescope at a ceremony Steve was delighted to have attended. Steve’s biography of Moses Holden is subtitled ‘The inspirational story of a man who was inspired by a story’. The U3A Todmorden audience was clearly also inspired by Steve’s talk, and we would like to thank him for his time and trouble in researching and presenting his findings. 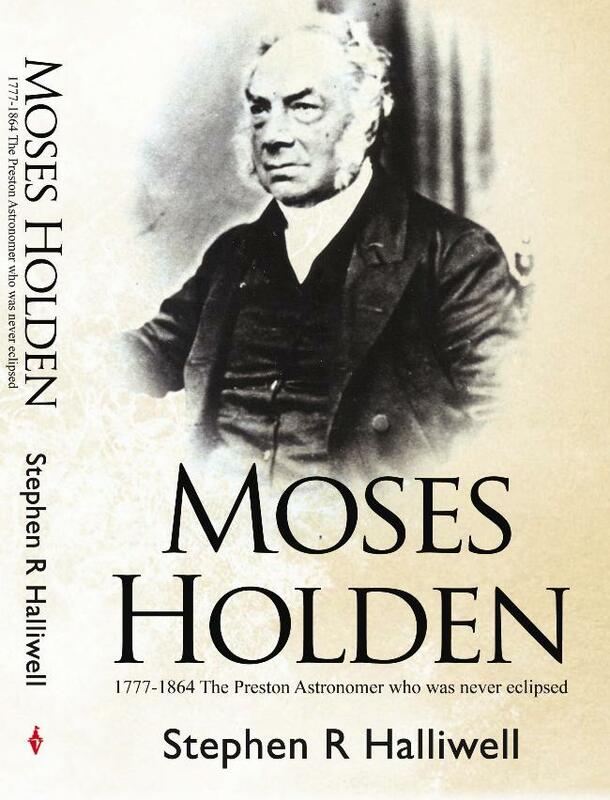 On Tuesday 6th September I spoke to the Pilling Historical Society about Moses Holden. Two days later, on the afternoon of the 8th September, I was again in a similar area to talk about the same man. Considering that Moses Holden played such a significant part in early Wesleyan Methodist history in that area, it's surprising how few people have heard of him. He went on to have a 39 year career as an itinerant Astronomical lecturer, achieving all that he ever did by teaching himself. The Monthly Meeting of the Wyre U3a as held at the Little Theatre in Thornton. The facilities there are fantastic, with a large screen and an incredible sound system. There was an average attendance of around 120 people on Thursday. Meetings start at 2pm, but get there in good time to secure a good seat! !